Home Blog “Cash for Clunkers” Should Have Used the Cloud! 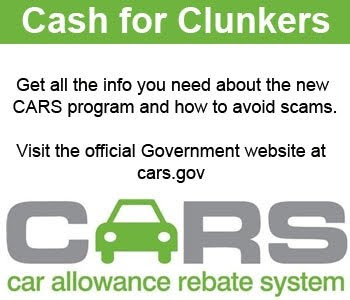 “Cash for Clunkers” Should Have Used the Cloud! – The high popularity surprised the auto industry which forecasted that the program wouldn’t have a major effect on sales. – The dealer sales people ‘pre-sold’ the program to customers causing an initial rush to the Cash for Clunkers web site and crashed the system. – The Transportation Department officials were presented with just 30 days to get the program up and running. As Rich also noted, it seems that the Government instictively relied on less automation, not more, by adding 700 more human claims processors to the original 300 midway through the program. Why didn’t they consider cloud computing !! SCRATCH THAT!! Outstanding!! Thanks for clearing that up. This is a huge misnomer that the Government didn't use cloud. It used Oracle's OnDemand services - which essentially is a cloud based offering from Oracle - See vivek's acknowledgement of the same and how it saved the day for Cash for clunkers eventually by just googling "Washington post Vivek Cash for clunkers"
Kinda reminds me of the "Look before you leap" quote. Rushing into things just to get them done often leads to big mistakes which can be very costly.